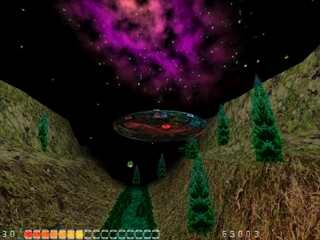 Perfect Absorber is a flight 3D arcade game (pc flight game). You are in command of a flight vehicle of the class "PERFECT ABSORBER". 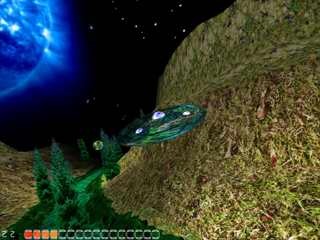 The purpose of game is rather simple - to fly through a narrow canyon and collect as soon as possible the power spheres. But spheres do not stand on a place, that does a task of game not so simply as it seems at first sight. The slightest miscalculation on your part will result in the loss of your stored energy. Windows 95, Windows 98, Windows ME, Windows 2000, Windows XP, Vista operating system. You must have a video card which is DirectX 3D compatible. Recommended: "GeForce2"/"Radeon 8500" or better. DirectX 8.0 or later must be installed on your computer. Added support for Joystick / Gamepad input. Flight much faster with much easier control.